Nothing beats the feeling of heat after being outside in the cold all day. To go one step further, nothing beats the feeling of being able to take that heat with you with a portable propane heater. With freezing temperatures on the horizon and winter storms beginning to plague the U.S., portable propane heaters are the most popular alternative for providing residences and even businesses with temporary heat, especially when there are power outages. Whether you are tailgating, camping, or working on your car in your garage, it’s very important to practice proper safety when handling portable propane heaters. Follow this article for safety tips on how to handle your portable propane heater so that you and your family are always safe and sound in the coldest of times. There are two types of portable propane heaters, freestanding and attachment. A freestanding model is all encompassing with a section to attach a propane tank. You will normally find these in auto garages, on the sidelines of NFL games, or any place where portable heat is required during the colder months. An attachment type of heater is simply an attachment that can be attached to a standard propane tanks. These often found at tailgates or large camping trips. Both types of propane tanks are completely safe when used properly. The first tip when using portable propane heaters is to be mindful of gas leaks and carbon monoxide. No matter the size, all propane heating units generate CO as a natural byproduct. If you start to feel dizzy or someone around you suddenly feels sick, always check the carbon monoxide level within the room to make sure you are not at risk of carbon monoxide poisoning. If you are using a portable heater indoors, first make sure it’s a type of heater that is safe to use indoors, and second always make sure you have proper ventilation. The second tips is to always place your heater in a spacious environment. Never place the heater in an enclosed space. The rule of thumb to follow is to always maintain a ‘three feet from the heat’ policy. These heaters can get very hot and if placed near certain objects, they can get hot enough to ignite and start a fire. In addition, make sure your propane heater is placed on a flat, level surface to prevent it from being tipped over. The final tip is to always follow the heater’s operating manual when setting up, turning on, and turning off the device. Most heaters require you shut the gas supply off on the cylinder and allow the heater to use up the fuel in the supply line before completely shutting down. Always store your heater in a well ventilated area away from anything flammable and other potential hazards. If you’re storing the heater for a longer term you can disconnect the device, but always store the fuel cylinder outdoors. 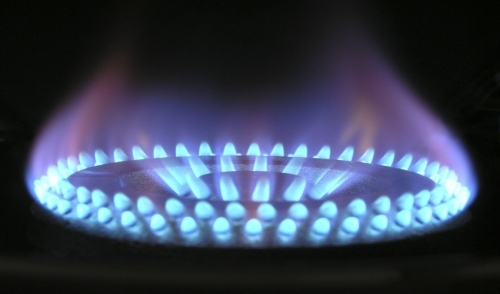 Most portable propane heaters come equipped with safety features. If your heater is currently outdated, visit your local hardware store and shop smart for a heater that’s not only going to keep you warm, but also safe. Use your heater with caution and practice these safety tips to have a cozy winter everywhere you go.